Even with unlimited nutrition, social stress can impact deer welfare – just as readily as malnutrition. Since whitetail does exhibit territorial behavior, and aggressively defend their established fawning grounds, young subordinate does are relegated the poorest habitat when deer density is high. When crowded, young does breed late and give birth later than adult does. Compared to adult does, stressed young mothers also experience higher newborn fawn mortality rates and produce inferior male offspring. Based on measurements of 264 9-month old fawns born and raised with supplemental feeding in the Cusino enclosure, we saw only minor differences in the body size of doe fawns, regardless of their mother’s age. Only female fawns born to first-time mothers(2-year olds) were smaller than average in winter. The difference in buck fawn weights with regard to the mother’s age (hence social status) was more striking. On average, buck fawns raised by does 4 years old and older weighed about 89 pounds in March. This was roughly 10 percent heavier than those born to younger does. 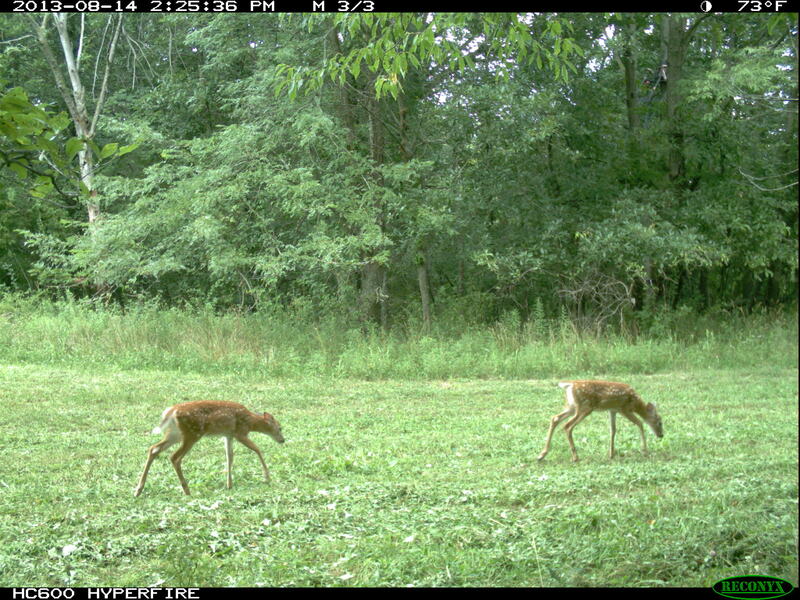 Poor nutrition results in uniformly smaller than average fawn weights at weaning age. In contrast, higher deer density on fertile range (or supplemental feeding) will cause a wide spread in surviving fawn weights at weaned age. Sometimes, buck fawns raised by well-nourished mature does will even be larger than yearling bucks raised by stressed young mothers – a sure sign of social stress. During a special 3-year study, conducted in the same enclosure, we also examined the potential effects of disrupting the female whitetail’s social organization by removing all except one female from known family groups (“isolates”). We then compared their reproductive performance to other females (“socials”) that were members of intact family groups. For whatever reason, social does on average reared heavier and skeletally larger buck fawns to weaning age, compared to isolate mothers. In mixed litters, males from social does averaged 16 percent heavier than female littermates, compared to a 7 percent weight advantage for males reared isolates mothers. There was no difference among doe fawns with respect to treatment. Apparently, young bucks somehow benefitted nutritionally when associating with older related females – a situation scientists refer to as “social facilitation.” Because related does and their fawns commonly band together during autumn and winter, social male fawns probably had compatibility associations with several does, had access to a relatively large ancestral range, and enjoyed superior nutrition. 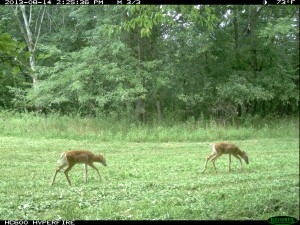 Image IMG_1057.JPG Caption: Social stress from high deer density adversely impacts buck fawn growth.